A well respected Hubber, Hal Licino wrote a post in which he details several hubs that have high ranking keywords on Google. Despite numerous pageviews, he earns just pennies from those high-ranking hubs and over 1,000 other hubs. His conclusion is that no one makes money with Google AdSense at that anyone telling you otherwise is probably a scammer looking to sell you something. As a brand new Hubber, fellow writer, and reasonably successful AdSense publisher, I offer the following humble advice to Hal in hopes that additional insight might make Hal's future endeavors more rewarding. My "answer hub" is about world famous Chicago pizza. While some prefer New York style pizza, I think the best Chicago pizza offers much more flavor, variety, toppings and choice than the soft, fold-in-half pizzas from Manhattan. If you leave this Hub having learned only one thing, let it be the statement above. High rankings do not equal high income. Likewise, high pageviews do not equal high income. Consider the first high ranking keyword phrase on Hal's list, "World's Best Pizza". Google's own AdWords tool tells you that this particular phrase is worthless. See for yourself. This tool is not a secret, nor a scam. 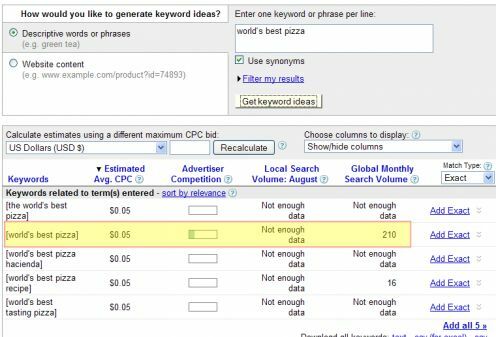 World's Best Pizza receives just 210 search globally each month according to the AdWords Keyword tool. That could still be worth something if anyone was willing to pay for an ad on a page with that phrase. Unfortunately, no one is. Check out the column that says Estimated Avg. CPC. If you don't see that column click where it says "Choose Columns to Display" and choose to display Estimated Avg CPC. You will notice the value is $0.05. That, my friends, is Google's attempt to sugar coat the result. The lowest possible value is $0.05 for any term. 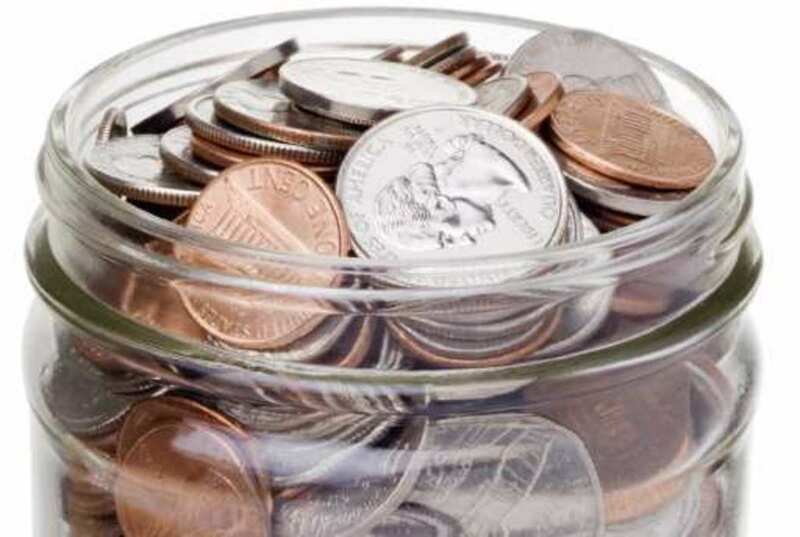 Five cents might as well be zero cents. This can be confirmed by looking in the Advertiser Competition column. Put it altogether, and if the #1 website for this phrase got ALL 210 hits, and every single visitor clicked on an ad the best possible income for ranking number one is $10.50 per month. However, that is GOOGLE's income, not yours. This tool lists the estimated cost to the advertiser. Google does not pass on 100% of that to the website owner. Some estimates range from 20% to 70% of the income passes through. If we take the high number, the best you could possibly do ranking for that keyphrase is $7.35. Take into account that not everyone click an ad every time, and you get the nickles and dimes that you are seeing for that keyword. Before we go any further keep in mind that this is the ADWORDS tool, not the ADSENSE tool. This is the tool Google uses to convince advertisers to buy ads. In other words, these numbers are going to be best case, rose-colored glasses, numbers. If you are on the AdSense side of the equation, these numbers represent the best possible scenario on your best day. Do not mislead yourself into thinking that things might be better than what is shown here. The point is that this particular hub likely ranks Number 1 in Google search results because no one else cares to rank for that term. Anyone who ranks for it, is doing so incidentally.That isn't a powerful webpage, that's winning by default. When Is Ranking Number One Not Really Being #1? Here is more bad news. That hub doesn't actually rank #1 for either world's best pizza or "world's best pizza". It might show #1 for some people, but not for most people. It is a little known fact outside of the Internet industry that Google tries to tailor your search results to the user. Between users being logged into Google (via iGoogle, Gmail, or whatever), and various cookies, Google tries to match your search results to what you want to see. If you always search for nail polish, but click on the result about polishing building nails (it's an example, I don't know if there is such a thing) then Google will move up those types of results. Keep in mind that this is a subtle tweaking, not a wholesale rearrangement, so customized search results won't necessarily cause the number 8 result to jump to number 1, but a move from 8 to 4 isn't out of the question. One of the best ways to check your "real" Google ranking is to use Incognito Mode in the Chrome Browser, or Private Browsing Mode in Firefox, or whatever it's called in Internet Explorer. In his Hub, Hal challenged anyone to give him the step by step guide to actually making some AdSense money. I'll take that bet. Here are the steps. I'll be doing them too, just to keep you honest :) You should win thanks to your much larger hub following, but I have other tricks up my sleeve. 1) Create a New Hub with the title "Best Chicago Pizza" - If that is already taken, choose a title that starts "best chicago pizza" and add something useful to the end. Do not put anything in front of best chicago pizza and do not put any words in between best chicago pizza. Do not fall victim to using best chicago STYLE pizza. It is NOT the same. This will work (if you do it fast before someone else starts doing it) precisely because there is so little competition for this slightly less accurate phrase. You can say best chicago style pizza elsewhere, but not in any of the links. 2) Write the hub. Write it any way you want, with one caviet. Somewhere in the first paragraph make sure the exact phrase "best chicago pizza" appears in one of your sentences. You sound like you have to sell out in order to make any AdSense money. That isn't true, you just have to set it up right. It is akin to putting your resume on resume paper. Your resume can and should speak the truth, but putting it on regular white paper doesn't make it any more honest, and using nice paper doesn't make it any less honest. 3) Link from the World's Best Pizza Hub - Edit the high ranking hub to include a sentence about chicago pizza somewhere in the first paragraph. In that sentence use the exact phrase "best chicago pizza". Highlight only those three words and create a link to the new hub. 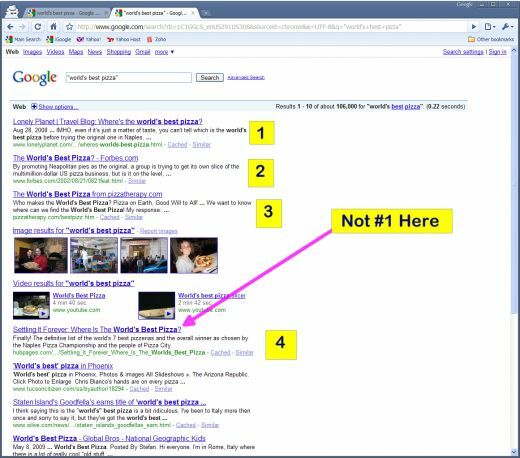 4) Wait Until the Site Is Indexed - Don't do anything until the site shows up in Google's index. Search for "best chicago pizza" site:hubpages.com until you see your Hub. 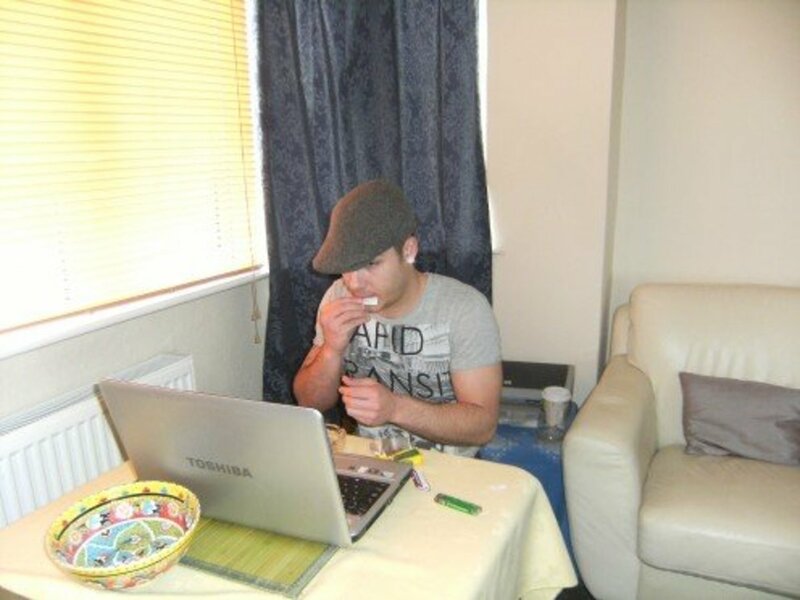 5) Write Five New Hubs - Every three days, write a new hub about pizza. It doesn't matter what about pizza, so long as it is about pizza. Write about crust, sauce, Pizza Hut, whatever. In the first paragraph of each hub link to the Best Chicago Pizza Hub with the same three keyword anchor. Make sure that none of these new five hubs use the keywords in the same sentence as each other or as the World's Best Hub. 6) Wait 60 to 90 Days - Maybe it will happen sooner, maybe it won't. Best Chicago Pizza reportedly pays $1.00 with 1,600 searches. That makes the best case scenario (as described above) $1,600 per month. Again, that WILL NOT HAPPEN. I like to estimate by taking 25% of the CPC and then multiplying it by 10% of the monthly search volume. This would mean that you get 10% of all Google search traffic by being highly ranked and that 25% of visitors click on an ad. That would work out to about $40 per month. It's only an estimate. The best you can do with AdSense is make the smart moves and then see if they pan out. Sometimes they do, sometimes they don't. 7) Let Me Know If I Win - Granted $40 per month is not a huge amount of money, but I just took the first decent looking keyword I found based on looking at your World's Best Pizza keyword. I wouldn't exactly call $1 w/ 1,600 traffic extra juicy, but based on what you wrote in your hub, I would almost be doubling your AdSense income. More importantly, if you had just 50 hubs doing this well, you would be making $2,000 per month. No matter how it shakes out. Best of luck. I love the attractive female avatar idea; let us know what you find. You could do a hub on how using a different avatar influences traffic. I know that, once or twice, I've definitely investigated a hubber's content further based on "her" avatar! I don't think he did. I made (still do) about a $1 per month off of my pizza hub, although I haven't touched it or linked it for a very long time. It could work if someone were to put the effort into getting ranked higher with it. The catch is that there are some old forum sites that seem welded to the #1 thru #3 spots and it takes a higher traffic keyword to make any money at #6 and up. I checked today and it looks like mine sits at #6. I don't see one for Hal in the first 30 or so results, so I doubt he's making anything with it. When I get some time, I'll revisit this and maybe reconnect with Hal to see how he is doing / how he did. So, did it work or not? Did he ever make money writing about pizzas? Thanks very much for writing this hub! There are a lot of resources on Adsense but they usually don't provide good examples, yours are great. The techniques you have provided here are very straightforward and helpful. This was really a great read and i gained some much needed insight. Topped and shared, the whole shebang. I already knew about the issue with "real" ranking, but I have always used other (harder.. more complex) methods. Thank you so much for the "incognito mode" and "private browsing" tip! :) It should save lots of time for me and my friends. This is excellent, I am your new devout follower. I will follow where you lead, my Hub Llama, my hub guru! I hope you and Hal made lots of money, because you just taught me what's what. I am lucky to make a penny a day. As an update, for anyone who is wondering how this thing turned out, it seems that this hub has moved up slightly. As a result, every day or two, I seem to get a bit of AdSense activity. So far, it looks like I'm getting between 18 cents and 58 cents a click. I'll have to get back into this and see where things are. I found this very useful, thank you so much for explaining this! Good stuff Hub Llama and right on to my way of thinking! @Hub Llama: My 3 pizza hubs aren't indexed at all, let alone too close together temporally. This is a really interesting technique idea. I've been interlinking all of my travel hubs, but I'll have to try using one anchor hub. Thanks for sharing. I am going to give this a go with all my hair and beauty hubs. I am ranked first page on some so will do as you say and see if this helps push it up. Great hub. No offense, but you are not following the instructions, at least not all of them. Re-read it and this time, pay attention to everything including the TIME FRAMES. Even then, you have missed the most important thing, which is that this was a step by step guide for a Hubber named Hal about how to use his already published and very highly ranked Hub about pizza to push a related Hub that might be more likely to bring in some revenue. Otherwise, I would not have picked this keyword as the traffic is relatively low, so the margin of error is slim. I doubt anything ranked below for this term #3 makes a nickel. In other words, IF this works for Hal, you will only have two spots left. Since your Hubs have been indexed out of order (re-read step #4 about waiting until your main hub has been indexed), your main hub was not the first one indexed. Think of it this way, if you had a database of things that you knew nothing about and you noticed that one of those things was very popular over a period of three or four days and another was popular over a minimum of 15 days, which one would you think was "better"? The one that was re-discovered over a longer time period, right? That is the point of waiting in between adding new incoming links. I'd apply these same concepts to a different keyword phrase if you want to go down this path. Now I am concerned. My third BCS (Best Chicago Style) hub was indexed within 2 hours of publishing it, this morning. The first one I published on Monday and the second one on Wednesday still have not been indexed. For the third one I let is simmer for a few days and when published it has a hub score of 68. Don't know if that matters or not; perhaps it's an urban myth. It can take Google a while to index a site/page. Here on HubPages, there are lots of new pages everyday, so it can really vary a lot. Basically, if your Hub is on the "New" screen at the second the Google Spider shows up, you'll get indexed. Otherwise, you'll just have to wait for it to follow enough links to get to you. Your best bet to help it along is to link to your Hub from somewhere else that is being indexed by Google and hope that the spider follows the link over to your hub. BTW, I've seen very little traffic from this particular keyword (in other words, there may not be any money in this exact phrase -- there is a little bit of guess work involved in choosing the keywords). I recently tweaked my Hub to try and also hit a couple of other keywords (while not weakening it for this one), so we'll see how that goes. BTW, Hals site is #3 when I last checked a few seconds ago. He used an apostrophe in his title; World's Best Pizza. The search phrase Worlds Best Pizza without the apostrophe also brings his site up as #3. I did read the hub. I thought you were saying to link to the Zagat's page. That's what I did. Anyway, I wrote my pizza hubs following most of your instructions but I can't even get Google to index the first one, which I unleashed 5 days ago. Sorry about the distracting avatar :) I'm testing a theory that hot girl avatars bring in more clicks. If you read the original post by Hal Licino (linked from the top) you'll see that he has a Hub ranked #1 for World's Best Pizza. The idea is to leverage the value of that Hub to boost another hub targeted at a better keyword. I don't understand step 3. Link from what? Please explain. Glad to see you moving forward. My Hub currently ranks #6 for the search -- best chicago pizza - but according to the HubPages stats, that is getting just one hit per day. If we are lucky, #1 thru #5 do better and it is just a matter of climbing the ladder, although I had hoped for something more like 5 or 10 hits per day at #6. Thanks for all the help. I'm proceeding as you've instructed. Waiting for that shower of pennies to turn into a rainstorm for both of us! Time to build a few more links and see how this thing shakes out. Very different and interesting article...Yummy Pizza! Thanks for sharing! Please do keep me informed at how well you do. I don't know about the Maybach, but I managed to squeeze $54 out of just 4,000 impressions in August on a "lucky" keyword (it was not the target, but apparently it hit anyway), so if this pizza thing works out, it could be fun - in more ways than one! Oh, great. Now you've both made me hungry - for pizza and more money! So our "challenge" is officially ON! Thanks again for all your cooperation and great tips. I really appreciate it! A quick update. I noticed that the Hub was a little bit on the short side so I added a little bit more content. I also learned that I can add additional text modules to the template, so I broke up some of the content to make it more readable. The good news / bad news is that Google already indexed the site (yea!) but before I could make it more Google friendly (bummer). I'll get the spider back around by throwing up some links. Instead of filling up the comments here, I'll wait until I have enough info for a Hub and post it up there. I threw in a couple of addresses to try and get the "local" attention from both Google and Bing. I linked to both with the keywords, we'll see if/when Google picks it up and then based on where it shows up, I'll see what I need to do to move it up.